From the 21st to the 23rd of October, the former President of the German Bundestag, Rita Süssmuth led a delegation to Ashraf 3. The group visited the exiled members of the People’s Mujahedin Organisation of Iran (MEK) living in the compound near the Albanian capital of Tirana. Whilst there, Süssmuth, the head of the Board and Advisory Council of the German Solidarity Committee for a Free Iran (DSFI), addressed the MEK members. She told them, “I admire you deeply because you repeatedly rebuild from the rubble”. That is precisely what the MEK did. In 2013, the MEK was living and working at two camps in Iraq, Camp Ashraf and Camp Liberty. The Iranian regime, in its attempt to eradicate the Iranian opposition and liquify their camps, carried out coordinated assaults, killing 168 MEK members and injuring more than 1,700. As their homes burned and their friends lay slaughtered, more than 3,000 MEK members were airlifted to Albania, where they found respite and safety. There, they purchased some land outside the capital and set about rebuilding. They constructed a compound complete with shops, offices, sports facilities, kitchens and dormitories. The MEK named the compound, Ashraf 3. The MEK has drawn a series of high-profile visitors. Mrs. Süssmuth and the visit from the DSFI came shortly before the former Scottish member of the European Parliament (MEP) Struan Stevenson paid the Iranian resistance group a visit. The MEK enjoys extensive support among international politicians and journalists. Among their supporters are members of the US Senate and House of Representatives, including the former speaker, Newt Gingrich, and former mayor of New York, Rudy Giuliani. 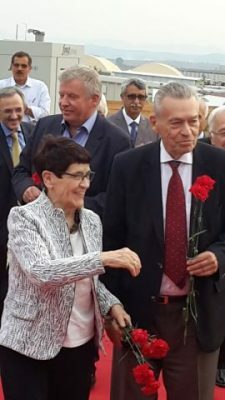 Süssmuth and her delegation spent five hours at the MEK’s new compound, during which time they were able to speak extensively with MEK members. 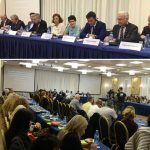 At a meeting in the evening, the delegation and MEK members discussed the inaccurate representation of the MEK in the press and the unjust prejudices and rapprochements of some European governments towards the group. Many of these prejudices stem from the extensive disinformation campaigns organized by the Iranian regime leadership. Among the deliberate falsehoods fabricated by the regime are the claims that MEK members are held at the compound against their will and that they are kept away from their families. Süssmuth and her delegation quickly saw that is not the case. MEK members can enter and exit the compound as they please, with hundreds leaving the compound each day. Family visits are also welcome and even encouraged. Another member of the delegation, MP Martin Patzelt asked, “how can people fight for decades for freedom and democracy without losing their courage?” The answer was in front of him, “today my question was answered- here in your new settlement”. He added, “I wish you and all of us victory on this way”. Christian Zimmerman, director for Human Rights and the interests of minorities in Berlin and a member of the DSFI said, “if anyone wants to know the alternative [to the mullahs], come to this settlement”. The delegation also held meetings with the Albanian government. They discussed the government’s efforts to keep the MEK safe and thwart the Iranian Ministry of Intelligence’s plots and nefarious plans to attack the MEK and its members. 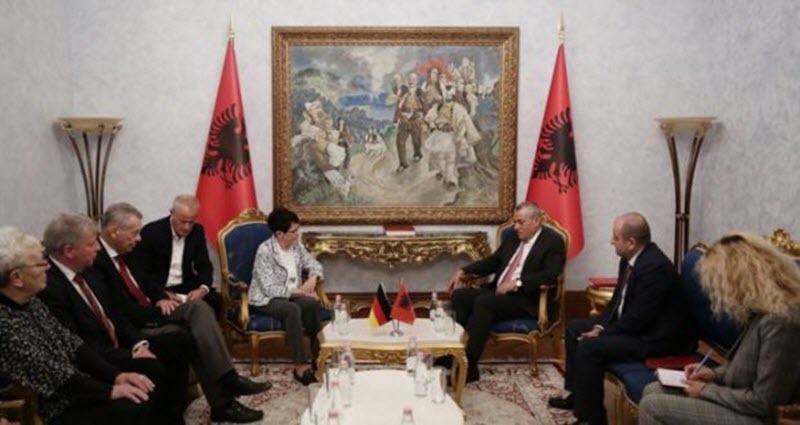 Rita Süssmuth praised the Albanian government’s efforts and said the MEK’s progress “would not have been possible without the constructive cooperation of the government and citizens of Albania”. Several in the delegation also stressed the importance of a unified and firm European stance against the Iranian regime. Otto Bernhardt, a member of the board of directors of the Konrad-Adenauer Foundation and Chairman of the DSFI, echoed recent calls from the MEK and other protest movements to expel Iranian officials and secret service members from European countries. 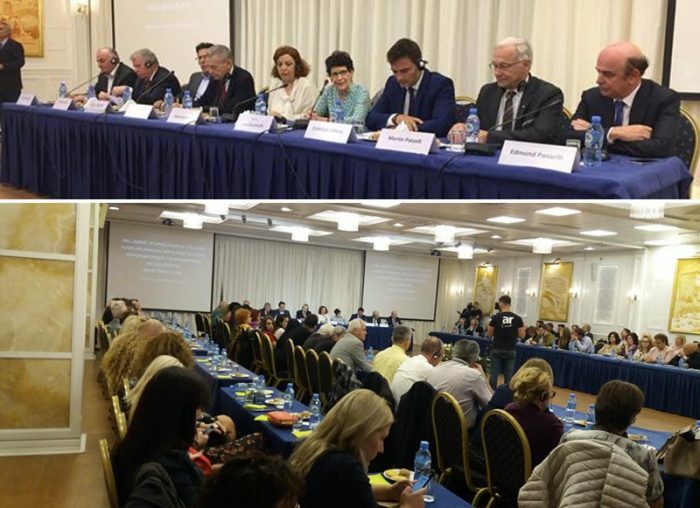 “DSFI is convinced that it is important for Albania to prevent Iranian secret agents from entering the country”, adding that “a regime overwhelmed by the crisis and whose future is very much in question is trying to discredit and attack the resistance”. “We must do all we can to ensure that this resistance is recognized in Europe”, Bernhardt concluded.